Abuse and neglect should never be accepted in any nursing home. If you or a loved one have experienced either, know that there are better options out there for you. Our website at Schenk Smith, was created to help you and your loved ones fight back against neglect and abuse. While our site has various videos that will undoubtedly assist you, we suggest and encourage you to give us a call with regards to your situation. We are here to help. Unfortunately there are various instances of both neglect and abuse occurring in nursing homes. Neglect occurs when the nursing staff fails to follow procedures set out by the resident’s physician. When the actions of providers falls below a reasonable standard of care, neglect has taken place. Abuse is a more serious offense, since it stems from an intentional act to hurt or harm a resident. When is it appropriate to sue the nursing home? When a nursing home fails to deliver a reasonable degree of care to its residents, and your loved one is injured as a result of this, the nursing home should be held liable. There are several types of violations, issues, and accidents that may make a nursing home liable in a lawsuit. Nursing homes are responsible in making sure that they hire competent nurses who are well trained to aid and supervise its residents. Failure to do adequate background checks, or failure to properly train their staff can leave a nursing home liable in a lawsuit. Nursing home staffs are also responsible and required to constantly make rounds and monitor their residents. When they fail to do so, they will be held liable. Common areas and residential quarters are required to be free from debris and other items, in order to prevent falls and other accidents from taking place. Failure to do so, will leave the nursing home liable. Nursing homes are also required to follow and render appropriate levels of medical care to their residents. If improper care, or no care takes place, the nursing home may be liable for any injuries sustained. Can I use a camera to capture neglect? When deciding to use a camera to capture neglect, there are important legal aspects to consider. That’s why it is important to research privacy and content laws. When you admit your loved one or yourself to a nursing home, it is important to look over the contract of the facility to see if cameras are permitted within the facility. The best thing to do when considering using a camera, is to avoid being deceitful. In the event that you would like to use a camera, it is best to consult an attorney, to see what the best option is. Taking matters into your own hands and breaking the law, can lead to hefty fines and even some form of jail time, regardless if you believe negligence it taking place. We are Schenk Smith, your Cartersville nursing home lawyers. At Schenk Smith, we focus solely on cases against nursing homes. We do not practice any other form of law, we stick to suing nursing homes, and that’s it. Our efforts are dedicated in making sure you and your family members recoup the proper compensation owed to you in the even that negligence or abuse takes place. 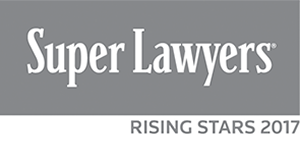 Our attorneys have been selected as Georgia Super Lawyer Rising Stars, which means our efforts are top notch. Our founding attorney Will Smith was a CNA in nursing homes in Georgia for 10 years prior to becoming an attorney, which shows just how dedicated we are to tackling nursing home cases. We developed our site with the sole purpose to provide countless information to assist you and your family throughout these times. Once you’ve had the chance to watch our videos and listen to the episodes from our podcast, please give us a call so that we can schedule a meeting and discuss your case. It doesn’t matter if you live by the Bartow History Center, the Booth Western Art Museum, or Red Top Mountain State Park, we got you. Nursing Home Abuse & Neglect in Cartersville, Georgia – What you need to know. Cartersville, Georgia is located in Bartow County, and has a population of 20,169. Of that population, 13.90% are aged 65 and older. As with other parts around Georgia, elderly abuse occurs on a frequent basis. What are the types of nursing home neglect? Nursing home staffs are responsible for assisting residents with brushing their teeth, brushing their hair, clipping their nails, changing their clothes, using the restroom, getting in and out of bed, and walking around. When the staff is negligent in any one of these areas, then the nursing home may be held liable for any injuries that may occur. Staffs are also in charge of following proper nutrition guidelines. Even if a resident has to follow a specific diet, the nursing staff is responsible in making sure it is followed. Failure to do so, can lead the resident to feel weakness, illness, and weight loss. These signs of neglect usually occur when the nursing home has a high amount of traffic, or simply fail to give the resident the individualized care they need. If this occurs, the nursing home may be held liable. Other forms of negligence can stem from bruises and broken bones, which are sometimes clear signs that the resident is not receiving the proper care or attention they need. Sudden changes in behavior can also be a sign of negligence. All of these examples as well as unsafe or unsanitary living conditions can prove to be signs of clear negligence on behalf of the nursing home. Who is at risk for bedsores? Bedsores, or pressure ulcers usually occur when pressure is exerted on the skin, making bony body parts very susceptible. Usually patients that remain in the same position for extended periods of time can develop bedsores. For example, a patient that lies in bed for too long may end up forming a pressure ulcer on the back of the head, on the ears, shoulder blades, elbows, hip bones, tailbone, ankles, or heels. Where the bedsore is formed will ultimately come down to the position that the resident is in. These pressure ulcers can also form where medical devices such as tubes, casts, or braces exert pressure or friction on the body. If a patient suffers from rheumatoid arthritis or another condition that puts pressure on their legs, arms, or finger, then they may be susceptible to form bedsores. Residents who have limited mobility and use medical devices are susceptible to form bedsores. Which is why nursing home staffs need to minimize any pressure through proper padding and repositioning. Nursing homes can evaluate the likelihood that bedsores will occur by assessing a resident’s skin condition and tissue tolerance. Staffs are also responsible in regularly checking parts of the body where bedsores can develop. If a proper monitoring schedule is not in place, bedsores may develop. The nursing home is responsible for neglect, especially when the neglect stems from a lack of staff, or an inadequate trained staff. Nursing home staffs are responsible for monitoring every aspect of the residents lives, from assisting residents in getting dressed, to making sure they’re eating a proper diet. If negligence occurs in any of these areas, then the nursing home may be held liable for negligence. Nursing homes have a legal duty in making sure that each resident has sufficient care and attention. Failure to do so, may leave the nursing home liable for negligence. Unsafe and unsanitary conditions are also forms of negligence that falls squarely on the nursing home. A nursing home is also responsible in making sure that they have minimized hazardous conditions such as slippery floors, low lighting, and unsafe equipment. My loved one was hurt in a Cartersville nursing home – What do I do next? If you or your loved on were severely injured at a nursing home, or if your loved one passed away at a Cartersville, Georgia nursing home, then we recommend that you act as soon as possible to protect your loved one’s rights. The Healthcare Facility Regulation – a division of the Georgia Department of Community Health – investigates complaints of neglect and abuse that occur in nursing homes. They also regulate and certify all nursing homes within the state of Georgia. A different option that you can look at, is to file a complaint through the Georgia Office of the State Long-Term Care Ombudsman. The individuals within this office are dedicated to resolve issues and complaints between residents and nursing homes. Ombudsman are authorized by law to go into nursing homes and ask questions. In the event that physical abuse or assault has taken place from the nursing staff or a fellow resident, it might be in your best interest to call the police and file a report. Depending on the extent of the abuse or assault, charges may be brought against the perpetrator by the Bartow County District Attorney’s Office. For abuse occurring in a Cartersville, Georgia nursing home, report the crime to the Police Department of Cartersville, Georgia or to the Bartow Country Sheriff. You can search for another facility that is better suited for you or your loved one. Just because you or your loved one have experienced some form of negligence or abuse at a nursing home, doesn’t mean that you’ll experience that at every nursing home. But at times it may be difficult to find the right place. Which is touring different facilities and asking the right questions is needed in when looking at other facilities. The Centers for Medicare and Medicaid Services (CMS) have created a website containing scores for every nursing home in the state of Georgia that accept Federal funding. These scores are based off quality, nurse-to-resident ratio, and inspection scores. For your convenience, a list of all nursing homes located in Cartersville, Georgia are located below, along with their contact information and inspection scores. Obtaining medical records is extremely important in the event that negligence or abuse occurred. Nursing homes will stop at nothing to place the blame on the resident, as oppose to accepting responsibility for what occurred. Even if there is a ton of evidence that shows the nursing home was negligent, they still will place the blame on the patient. If a patient suffered a broken bone from a fall, chances are the nursing home will say that the broken bone was already there. Investigating a claim against the nursing home requires medical documents, which can be difficult to obtain due to privacy laws. In order to obtain these records, you will need some form of written authorization such as a power of attorney, a healthcare directive, or guardianship paperwork. If you or your loved one was injured in a Cartersville nursing home, then it is likely that the medical records needed will be located at a hospital nearby. The contact information for these hospitals is listed below. Just because your loved one may have passed away, doesn’t mean their right to sue goes away. A deceased person’s rights to recover are handed over to the Estate, in order for them to recoup what’s rightfully theirs. What this means is that rather than the lawsuit being from “Charles Smith”, the lawsuit will be from “The Estate of Charles Smith”. But an Estate must first be established before a suit can ever be filed. This means that the surviving spouse or relative must petition the Probate Court of the County in which the deceased relative or spouse passed. If you’ve found yourself in this predicament, it would be in your best interest to setup an Estate immediately, and appoint a representative. This representative – usually called an Executor or Administrator – will act on behalf of the Estate, and they will make all the decisions regarding the lawsuit. Click here for the Probate Court of Bartow County. There are no two nursing homes alike. Each have their own differences. Here is a list of the nursing homes located in Cartersville, Georgia, along with relevant information for each. This information is taken from CMS’ Nursing Home Compare Website. 22 Maple Ridge Drive S.E. Dedication: We are selective on the cases we choose to take on. We only take a tiny fraction of the cases that come in, which means that we are completely dedicated and willing to go all the way to trial for the cases we choose to represent. Our efforts will be 100% dedicated in making sure you receive your rightful compensation. 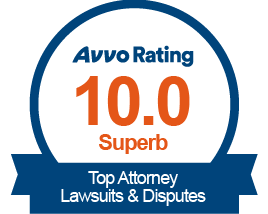 Highly Recognized: Our attorneys at Schenk Smith are highly regarded. They have been selected as Georgia Super Lawyer Rising Stars. We take pride in knowing that we offer top notch services which are strictly dedicated towards pursuing rightful compensation from negligence and abuse that may have occurred in nursing homes. Top Notch Ratings: We are confident that the service we provide is top notch. If you don’t believe us, feel free to check out our client testimonials, and you’ll see why Google has us rated as the best law firm in Georgia that focuses on nursing home cases. If your loved one was injured or died in a Cartersville, Georgia nursing home, please call us at Schenk Smith (678) 823-7678 for a free consultation. You can also check out hundreds of video FAQs on our website.